How do I book a Yoga class? Book a class online or get in touch by calling 07971004234. Some classes can be full so its worth booking to make sure you have a space. Please take a look at the student declaration and complete it online before class, highlighting any medical issues. Is it better to be at the back of the yoga class if I'm new? Some people feel nervous about attending their first session but there are no hard and fast rules. If you’ve not done Yoga before you may feel more comfortable at the back of the Yoga Class. However, some people prefer when new to be at the front so as to not get distracted by others. So its really up to you, go where you feel comfortable. Although people have their favourite spots in the yoga class its very much a case of first arrival gets first refusal. What’s important is that you are comfortable so choose where works for you. What do I wear to yoga? It’s not a fashion parade so wear comfortable clothing that doesn’t restrict your movement, but fashionistas welcome –really, anything goes. Consider layers so you don’t get too warm during the Asanas (postures). Don’t forget your blanket and mat but only if you have one. Is it OK to eat before a Yoga Class? Please avoid heavy meals 2/3 hours before class. Can mobiles be brought into the Yoga Studio? Yes phones welcome just not their sound, please turn your phone off or on silent. Can I bring a friend to a Yoga Class? Yes, why not come with a friend, time is precious so its an opportunity to meet up with a friend for your weekly catch up even if it’s a 5-minute natter at the end of class. If you introduce a friend to a daytime class you pay half price! Do I just turn up? 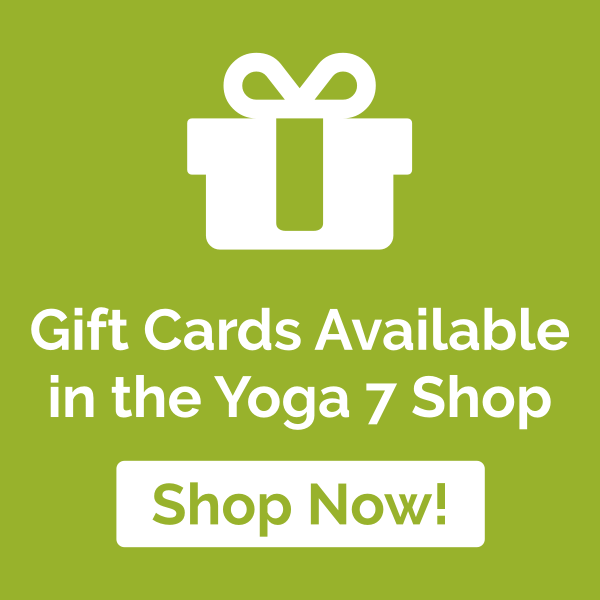 Your can book online, call or text Yoga 7 on 07971 004234 or pre book your place by paying in advance of 5 or 10 weeks to guarantee a space. There’s usually availability in the daytime classes, although St Peter’s on Monday it’s best to book but please book on to your evening classes. I’m not flexible can I still come to a Yoga Class? Attending a class weekly will make a big difference to your flexibility but you must be patient with yourself to avoid injury. I’m overweight and not very supple can I join a Yoga Class? Classes are tailored to suit everyone, there’s the option of sitting on a chair for the breathing techniques and using the chair in some of the postures to make them more accessible. Your flexibility will come with a regular Yoga practise. I’ve injured myself can I still come to a yoga class? Depending on your injury and if you’ve been given the OK by your GP that its OK to do Yoga then in most cases its better to do Yoga than not do it. If I block book 5 or 10 weeks are they consecutive weeks? Yes the weeks are consecutive however if you are unable to attend your usual class you are able to use the block booked sessions at any of the other classes that week. It makes sense to block book as you save £40 over 10 weeks.